An exclusively intense programme to bring out the inherent competitive potential in IIT aspirants. This integrated approach favours students preparing for Boards, JEE MAINS & JEE ADVANCED. A strong willed and industrious student can undoubtedly opt for this programme. This course is specially designed for students aiming for NIT and other universities which compete with the IITs. It covers the coaching required for the board examination and aspirants pursuing to get seats in esteemed engineering colleges at National level should opt for this course. This is a profoundly planned programme designed on the basis of revolutionary modifications in the selections for Medical aspirants at national level. It assures fetching productivity for the students appearing for Boards, NEET, AIIMS and JIPMER. As name depicts, this program aims at producing "Future Chanakyas / Apara Chanakyas" in the evergreen field of Commerce. It offers coaching for Board Exams, Entrances like CA Foundation CLAT, and other related exams. 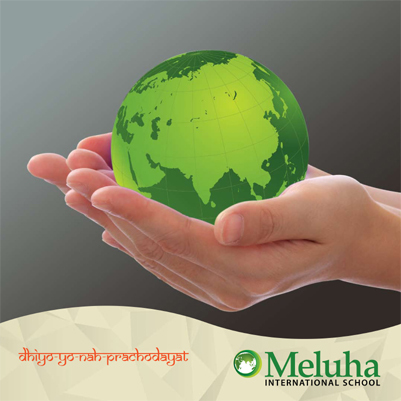 It is acknowledged that Meluha is the only International school with this kind of program for Commerce stream. This is a brand new program introduced for MPC and Commerce stream students who are aiming at getting into top courses in Business Management, Fashion Design, Law, and Architecture.This course offers intensive coaching for the entrance examinations of IIMs, XLRI, Symbiosis, NIFT, CLAT, and NATA, among others. This carefully curated course offers complete coaching for students appearing for the SAT-I. It guides and provides opportunities to students of all streams to get admission into top international universities of their choice.